Remember Roy of the Rovers? Delight a fan with his depiction on a cake! 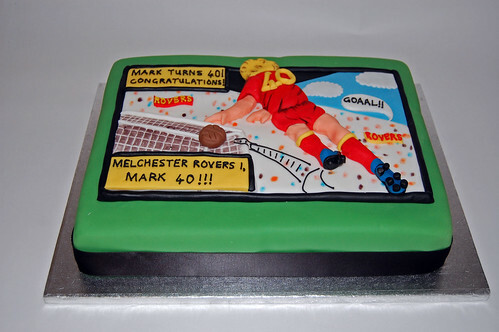 The Roy of the Rovers cake – from £90. Mandy made this cake for my husbands 40th birthday. I couldn’t have been happier with the look or the taste of the cake! After looking around at several cake makers, I found Mandy who is amazingly talented and the price beats all the competition. A lot of people at the party plan to get Mandy to make their future birthday cakes!